Hutton selected the five people he’d love to go head-to-head with on Lip Sync Battle, the hit show that pits two celebrities squaring off for “singing” bragging rights. 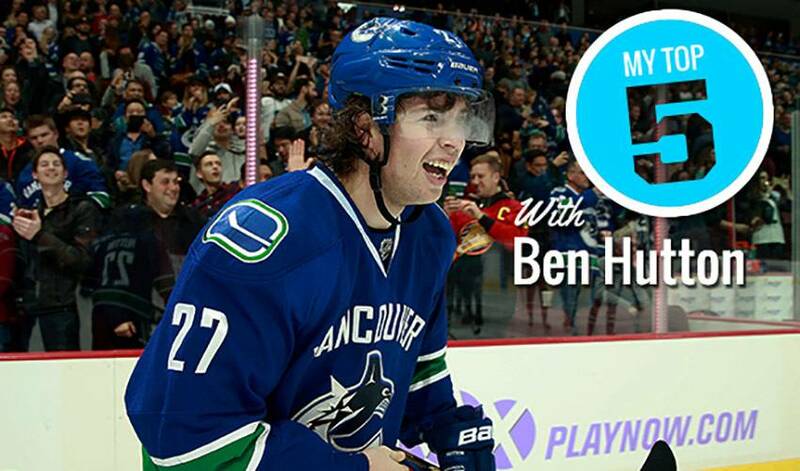 When he’s not patrolling the Vancouver blue line, Ben Hutton has been known to show off some pretty sweet dance moves – and vocal talents – away from the rink. This February, the 23-year-old earned unofficial first star honours in an epic lip sync battle featuring several of his Canucks teammates. So, it’s only appropriate that Hutton selected the five people he’d love to go head-to-head with on Lip Sync Battle, the hit show that pits two celebrities squaring off for “singing” bragging rights.